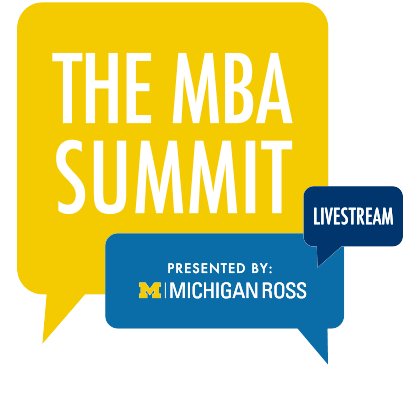 The Michigan Ross EMBA Program provides all the assistance you need for career advancement. Whether you're looking to advance with your current employer, change organizations within your field, or find an entirely new career, the EMBA Program offers the support you need. Our dedicated career coaches work exclusively with senior executives, and they have the experience and resources to help you reach your goals. Specialized coaches in Los Angeles and Ann Arbor help you develop a personal career strategy. Your Career Coach will work with you one-on-one to develop skills and strategies that will enhance your career trajectory in your current organization, help you to pivot functions or industries, or support entrepreneurship or working with startups. Working together, you’ll develop a personalized career management strategy that addresses your short- and long-term career objectives. Your coach is available to work with you during the EMBA Program and throughout your career. The first step is to determine where you are in the job search process. Focus is essential. If you are still trying to figure out exactly what you want to do, you can explore self-assessments and resources to help clarify your goals. You’ll explore how activities like networking, leveraging LinkedIn, attending conferences, conducting informational interviews, participating in professional organizations, meeting with executive recruiters, and searching executive-level job posting sites can support you in accomplishing your career objectives. Next, you’ll look at your resume, cover letters, LinkedIn profile, portfolio, and any other materials you may need. Your materials will be optimized both for a quick personal look and for an electronic scanning process. Your coach will help you manage internal and/or external job postings and help you develop company advocates to support the hiring process. You’ll be connected with job postings and on-campus recruiting opportunities through Ross. Make sure you’re ready to shine, and be prepared for interviews in any kind of format. Partner with your coach to develop your most strategic talking points and convey the value you offer. Mock interviews can assist with feedback on your style. Your coach will help you advocate for what you want in a job offer, and also assess whether a given opportunity is right for you. Gain new tools and insight to take your career to the next level. We offer a series of workshops tailored to executive-level career advancement needs. Workshops are hands-on, focusing on tangible tools you can use right away. Take advantage of a customized executive website that provides the best career development information and the best company and industry research tools available. Take a look at who you are today. We combine the assessment with practical, real-world business insight. Our experienced career coaches are certified and/or trained to interpret personalized assessments using a variety of state-of-the-art assessment tools. Whether you are writing a first-time resume or updating a previous one, use the Ross Career Services site for building an accomplishment-based resume and cover letter. Review various types of interviews and interview questions with tips on answers; or record your own answers for review and feedback. Learn how to leverage new approaches to your job search by integrating networking and new technologies to penetrate a much more competitive job marketplace. The Networking and Social Media sections will describe a few of the sites that you should be engaging on and tips on how to best use social media in your job search. Obtain company research that covers over 60 million organizations in more than 170 countries, providing company overviews, key information, and business intelligence. You’ll have access to 70 million company contacts, many with biographies and contact information. Tap into the Ross alumni directory to expand your peer network. Access recent developments, business challenges, trends, and opportunities on hundreds of industry segments, as well as the latest financial information and insights. No matter where your career takes you, the Ross community will support you. Michigan Ross alumni are some of the most accomplished, influential, and innovative business leaders in the world. Our alumni network is a vibrant and dynamic community of leaders who provide support, advice, and career advancement opportunities to one another. 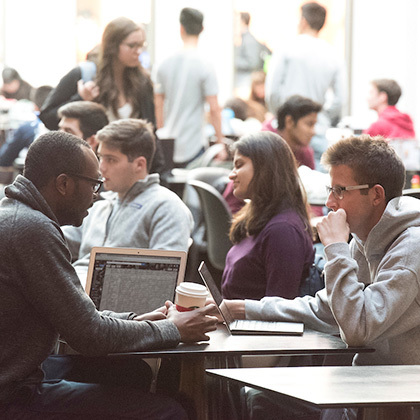 We continually hear stories from students and alumni about fellow EMBAs hiring classmates, making job referrals, and consulting with one another on career development pursuits. As an EMBA student, there are four levels of the network to leverage: your EMBA classmates, EMBA alumni, Michigan Ross alumni, and University of Michigan alumni. Every year, we are struck by the loyalty, friendships, and connections forged among classmates during the 21-month journey. 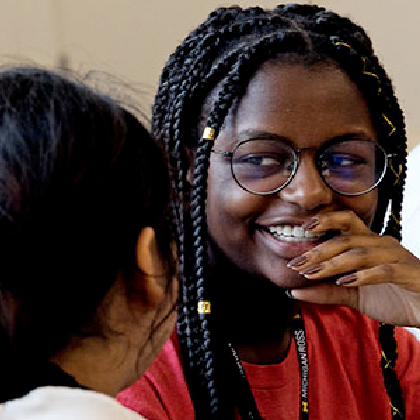 We often see students discovering new opportunities and changing jobs through their connections with classmates. The senior-level leaders who constitute the Michigan Ross EMBA student and alumni community are also a close-knit community for job development support. Our alumni stay in touch through events around the country, our active LinkedIn group, and informal social gatherings. 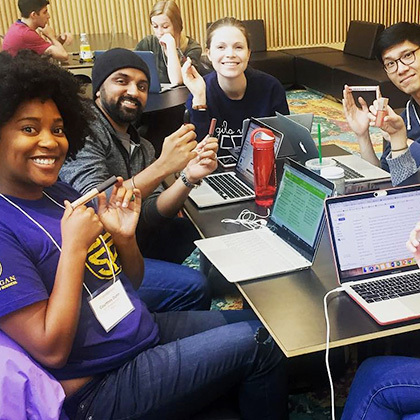 In addition, the expansive alumni networks of Michigan Ross and the University of Michigan offer a wealth of resources to pursue your interests. We’ll help you navigate these networks and find connections that have a lasting impact on your career. Donna brings 20+ years of career management consulting, leadership assessment, executive coaching, and career transition experience working with executives in diverse industries and functions. She coaches individuals to uncover their passions, find clarity around their career goals, and create marketing approaches that help them achieve short- and long-term career objectives. 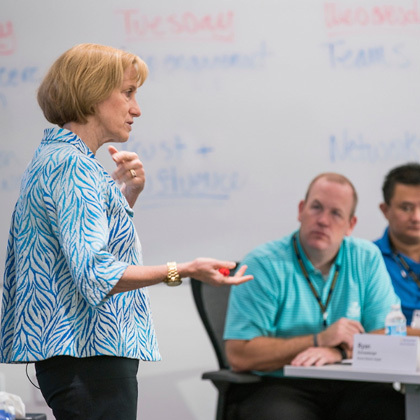 Donna guides students in developing career management strategies that are supported by executive resumes, market exploration, personal and digital branding, networking, interviewing, and negotiating. Donna holds both bachelor’s and master’s degrees in psychology and she is a limited license psychologist in Michigan. Sue Ann brings 10+ years of experience in executive career consulting, leadership, and team development in multiple industries and functions. Clients ask Sue Ann to guide them in maximizing their leadership potential and establishing a career strategy that may involve transitioning into a new organization or functional area. In addition, Sue Ann works with her clients in articulating brand, polishing resumes, maximizing LinkedIn, and determining an interviewing, networking, and negotiating strategy. 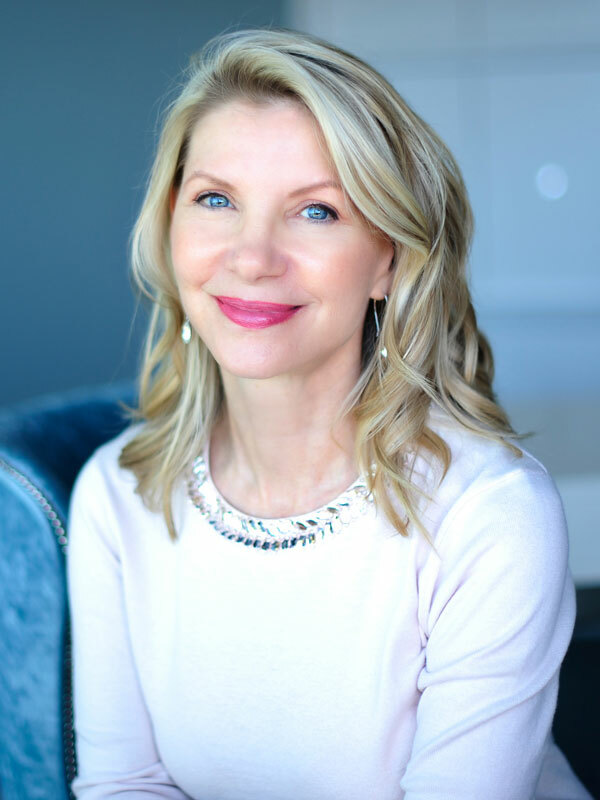 In addition to her experience in career and executive coaching, Sue Ann brings several years of experience as a corporate executive, eight of which were with two Fortune 100 technology companies. Sue Ann holds a master’s degree in organizational leadership and a Bachelor of Science in business administration.